Evidence from capacity needs assessment carried out in the sub-region indicated gaps in management and administration especially at supervisory level. This makes the need for skills enhancement in management and administration more imperative considering the issues of managing the present and the future "Fluid knowledge worker" in an increasingly competitive planning and operating environment. The diploma in human resource management program will therefore, inculcate into students the competencies in management and administration to address capacity gap identified. DHRM thus aims at improving and imparting intermediate knowledge, skills and positive attributes in human resource management to candidates so that at the end of the course, they will be able to carry out supervisory functions in business administrative duties in their organizations. Further the program provides opportunity for graduates who may wish to enroll for further studies to Bachelor’s degree in Human Resource Management (BHRM) or other bachelor’s degree hence creating a multi entry source to the program. The DHMA programme is offered in the evenings from 5:00pm - 10:00pm. These classes will run for two to three weeks in every two and a half to three months. 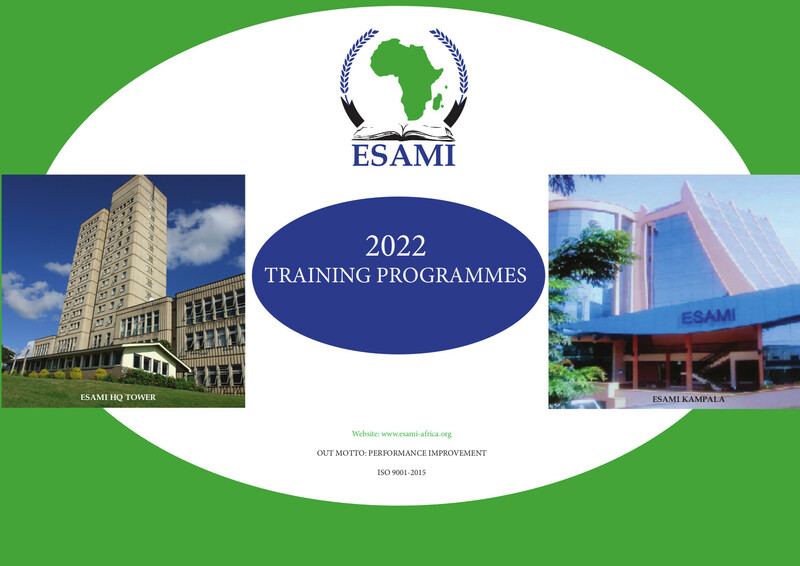 The evening class DHRM is offered in the ESAMI member countries in the following venues:- Arusha, Mwanza, Dar es Salaam, Tanzania; Nairobi, Kenya; Kampala, Uganda; Lusaka, Zambia; Lilongwe and Blantyre, Malawi; Harare, Zimbabwe; Windhoek and Oshakati, Namibia; Mbabane, Swaziland; Maputo, Mozambique; Mahe, Seychelles. Total fee for the programme is US$ 4,000. Advance payment are made annually or per semester by arrangement. The fee covers tuition and limited materials. It does not include text books among other exclusions.